This time try the unique class in order to get a glow. 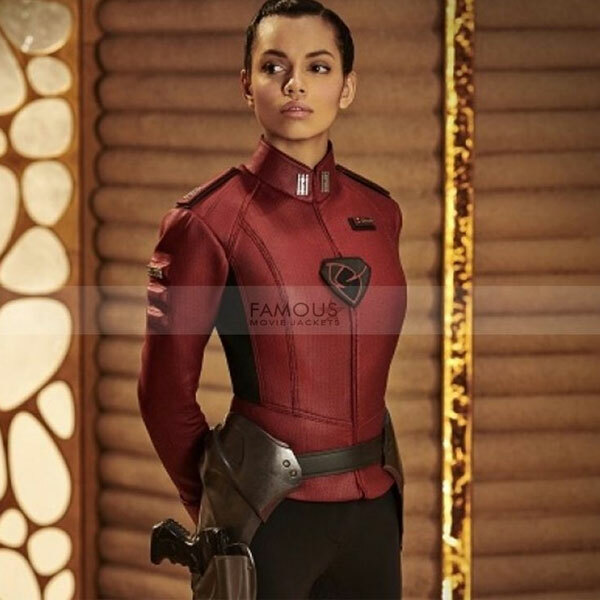 The forthcoming television series Krypton presents a vital role of women rather than the men in the form of Layta Zod. The gorgeous Georgina Campbell depicted this amazing yet classy character. She portrayed the role of the daughter of General Zod in the series. 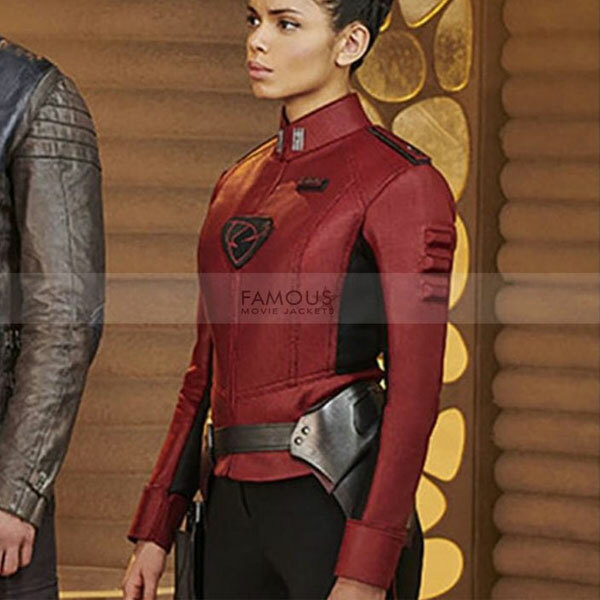 The staggering Krypton Lyta Zod jacket is made from 100% pure leather with a soft and supple touch of viscose inner. Comprising of round collar and front YKK zip closure there is small pattern design on the collar and the sleeves of this Layta Zod leather jacket. It is a screen precise outfit of Krypton. The front logo is remarkably outstanding while the vivid red color will make you stand out in the throng. Good news is that we are offering this jacket now at the best-discounted price. So, stylish girls your wait is over to look stunning wearing this Layta Zod luxurious jacket.